The two A‘s. Awareness, and Alignment are equally important, and both reinforce each other into a model of Performance and Supreme Wellness. Two pillars form the model of Performance and Supreme Wellness at Healing Light Yoga and Massage. One pillar is Alignment, to align with gravity, through alignment with neutral posture. And the other pillar is Awareness, to be aware and in the moment, which helps with accurate perception and memory. Both of these pillars work together to support health, well-being, and performance in life. This will help you in all aspects of your life, to perform well, and to enjoy life. This includes all activities and job descriptions: athlete, actor, actress, singer, dancer, musician, business executive, military, teacher, employee, housewife, student, etc. 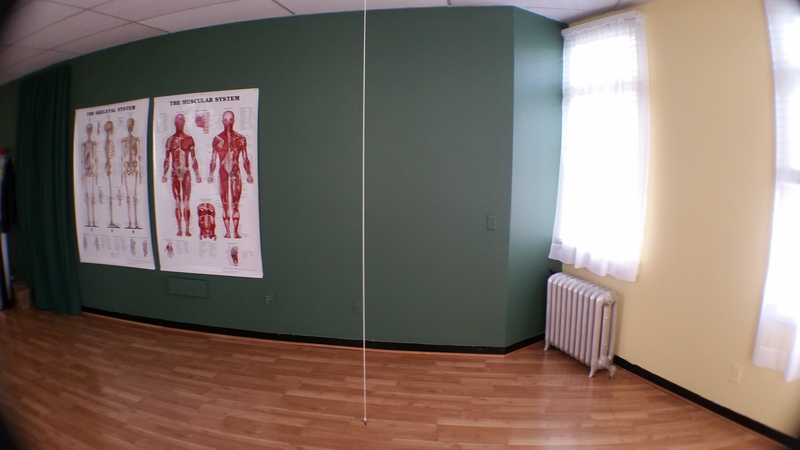 We work together to achieve awareness of the present moment, to improve your perception, memory, and awareness of all, especially the gravity line in proper posture alignment. We work together to achieve improvement in your neutral posture alignment. This is done through posture assessment, and then a structured program will be designed for you to help you achieve neutral posture alignment. My method is a fusion of many different disciplines with long years of experience into my own proprietary method of achieving results in cognitive improvement of accurate perception, memory, and structural alignment, leading to improved performance in all aspects of your life. Being in the present moment will improve perception and memory skills. Learn to be in the moment, through clearing the mind. Methods include: sound, music, singing, words, actions, movement, according to the learning needs of each person. First, we will do a posture assessment, then have you stand behind a plumb line and take four photos comparing your posture to the Skeletal System Chart. The photos are optional. They will show a baseline in which to compare your progress as we work together over time. The photos are private, just between you and me. If you don’t want any photos taken, that’s OK. Here is the plumb line at my studio, for posture assessment through observation, and optional photos taken at intervals. Next, we will do some movement exercises, which I have developed. I have ten sets of these exercises, which are a fusion of Yoga, Ta’i Chi Ch’uan, and Posture exercises. 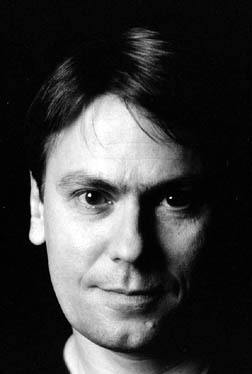 Each set takes about five to ten minutes to perform, once learned. 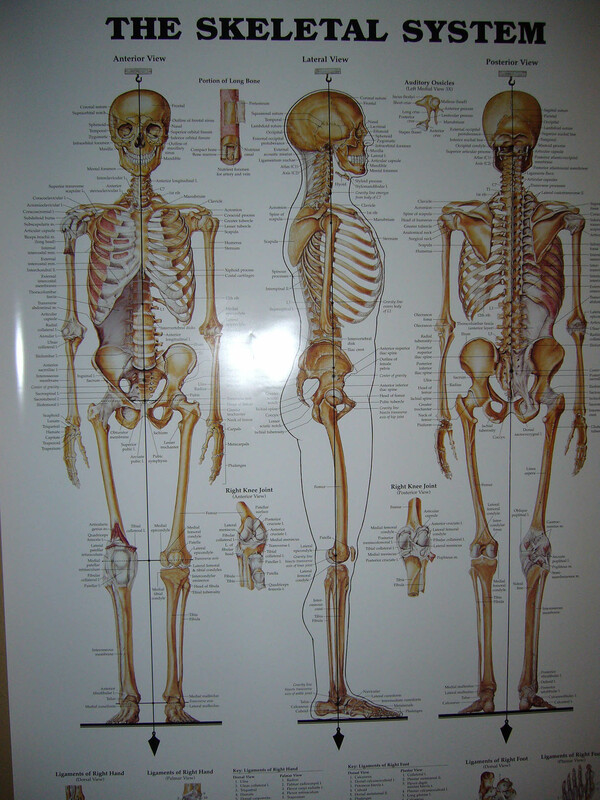 They are designed to strengthen, align, and balance the musculature around the joints and align the body properly into neutral posture. After that, we can do a focused Massage Therapy Session, based on any restrictions that we have found in your postural balance, to help increase range of motion, reduce and eliminate any pain, and improve your performance. The Massage Therapy Session may include ten modalities, a fusion of Structural Alignment, Zen Shiatsu, Chinese, including Acupressure and Tui Na, Traditional Thai, Swedish, Deep Tissue, Sports, Medical, Hot Stone, and Ice. Make an appointment, and we can discuss it! No charge to come in and talk! I suggest scheduling four sessions, once per week, and see how your progress is at the end of the four weeks. We will take posture photos at the first session, and again at the fourth session. Of course, the photos are optional. Then we can decide whether the work is done, or keep going. Does it work? Yes, it does! Check out the many testimonials from my clients. Here are all the necessary forms, or just make an appointment, and you can fill out the Client Intake form when you arrive, and sign the Studio Policy form. It’s very simple, straightforward, just how I have designed it. There is also a Physician’s Prescription and Letter of Referral Form for insurance billing. The Present Moment Course is something that I have been working on my entire life, but especially since January 1993, more than 21 years ago. Here is a photo from that time, when I visited my late friend Abhi Bhattacharya, the famous Indian actor and long-time friend, personal secretary, and worldwide travel companion of our late mutual friend, Sri Dadaji (Amiya Roy Chowdhury). 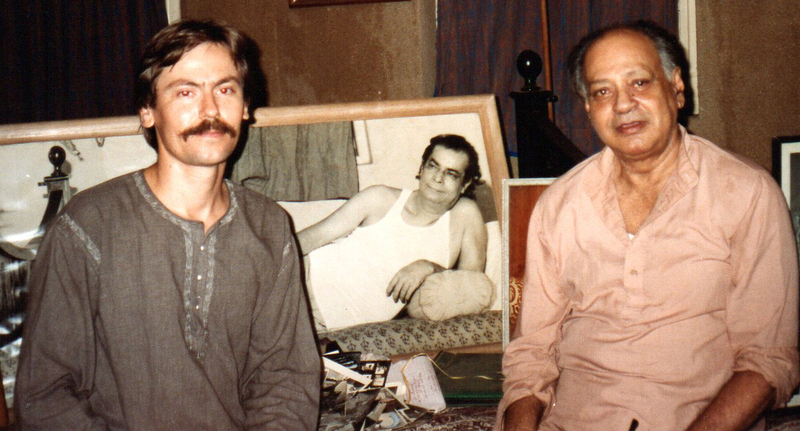 Steve Davis and Abhi Bhattacharya, at Abhi’s flat in Bombay (Mumbai), India, February 1993, with photos of Dadaji. 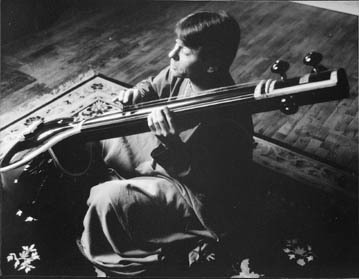 At that time, I went to India to study North Indian Classical Music for the voice and bansuri (bamboo flute). I studied bansuri with Pandit Malhar Kulkarni, one of the finest artists on bansuri, at that time in his late 70’s. He did not speak very much English. He taught Indian Classical Music the way that it has been taught by rote for hundreds of years, with very little of it written down. The student must follow the teacher, and repeat what is being played. 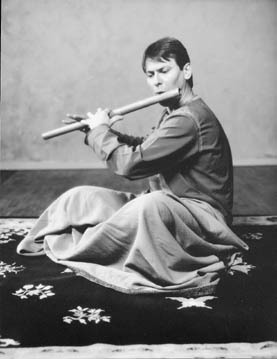 At first I could only repeat seven or eight notes, and this really frustrated me, as I had traveled eight thousand miles, and spent thousands of dollars to be there to learn this music from the bansuri master. After three weeks of daily lessons and practicing five to six hours per day, I was able to remember 30 to 35 notes without error. I also had intensive voice lessons in Calcutta (Kolkata) with different teachers, studying both North Indian Classical Music and Rabinadranath Tagore (Rabindrasangeet) songs. The trip lasted about three months. Upon my return, my business with teaching and outfitting high climbers on radio towers and antennae for the US Government started to take off, and I started more international travel. Over the next seven years, I traveled to 18 countries around the world, and studied ten languages to help me communicate with the climbers and others in the countries I was visiting. 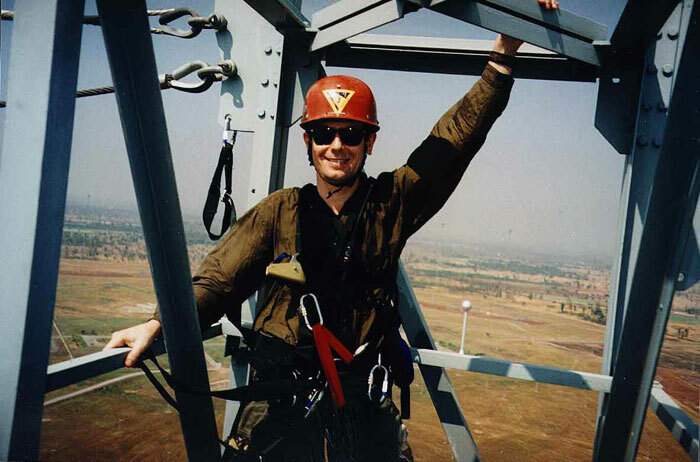 Steve Davis at Voice of America Relay Station, Udorn, Thailand, at the Hammerhead, 450 feet. 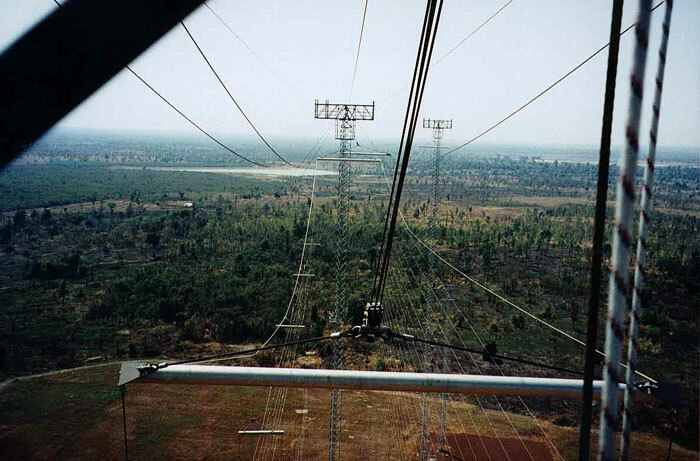 Steve Davis at Voice of America Relay Station, Udorn, Thailand, Spreader Bar view from the Hammerhead, 450 feet. I discovered that I could repeat anything anyone said or did, and that I remembered it later without problems of recall. What I determined is that the music practice had opened a door in my awareness. This door, once opened, always remains open. Over time, my skills have steadily increased. When I went back to school to study to become a Licensed Massage Therapist, I ended up with a 4.0 GPA the last two terms. The first term was rough, as I had not been in school for 22 years. I studied advanced courses, Asian track, 801 hours, graduating from East West College of the Healing Arts in March 2006 with a 3.5 GPA. Over the years, I have been incorporating this knowledge in my yoga classes to help others. I think you will find that being in the present moment will bring a profound and lasting, positive change to your life. 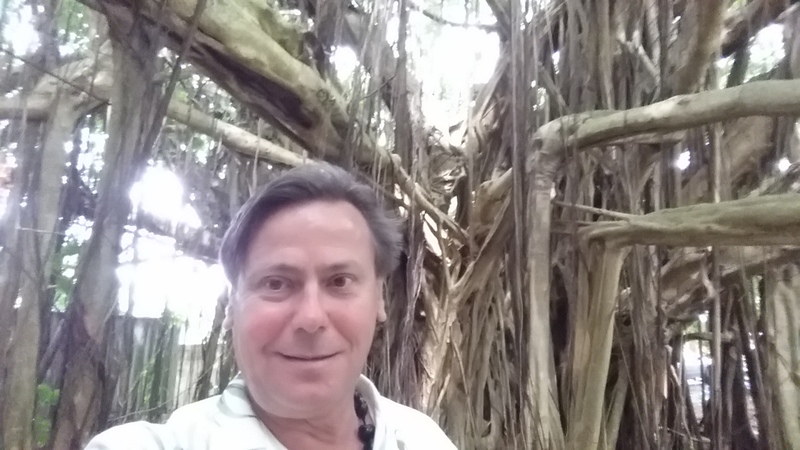 Steve Davis in May 2014, Kauai, Banyan Tree.